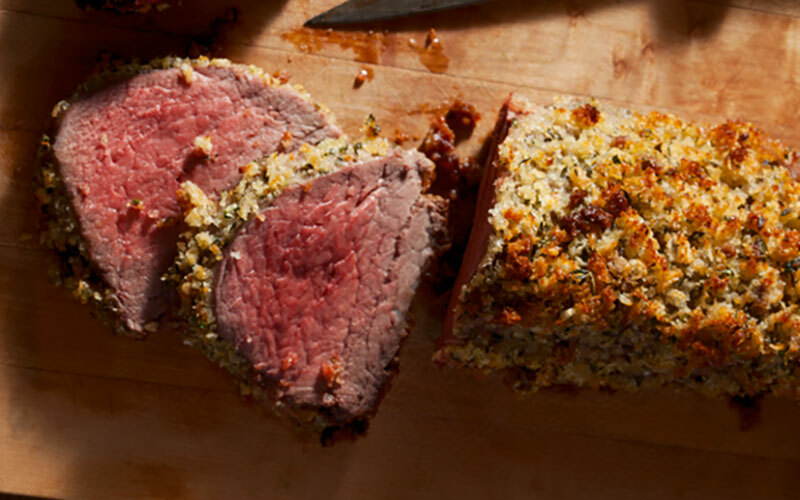 Abandon that chicken recipe for your Sunday meal… this weekend, it’s Parmesan and Herb-Crusted Beef Tenderloin on the menu. 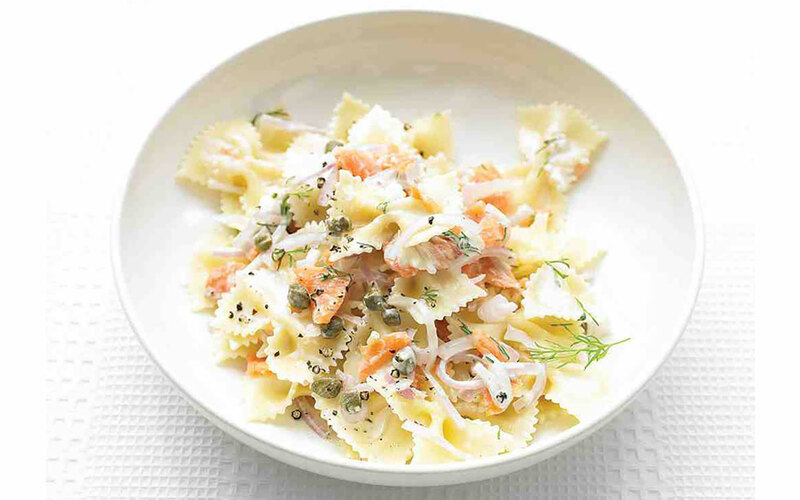 The variety of flavours in this recipe make the few extra steps absolutely worth it. 1. Preheat the oven to 425◦F, rub the tenderloins all over with olive oil and season with salt and the cracked peppercorns. Set the tenderloins on a large, heavy-gauge rimmed baking sheet, allowing space between them and roast in the upper third of the oven for 20 minutes. 2. In a medium bowl, mix the bread crumbs, with the Parmesan, anchovies, garlic, thyme and parsley. Blend in the 2 tablespoons of olive oil and season the crumbs with salt and pepper. 3. Carefully pack the bread crumbs on top of each tenderloin. Lower the oven temperature to 400◦F and roast the meat for about 20 minutes or until an instant -read thermometer registers 130◦F for medium-rare. Using long spatulas, transfer the tenderloins to a carving board and let rest for 15 minutes. 4. Meanwhile, set the baking sheet over 2 burners. Add the wine and bring to a simmer over moderately high heat, scraping up any brown bits from the bottom. Strain the wine into a medium sauce pan over high heat until reduced to ½ cup. Whisk in the beef broth and bring to a boil; simmer for 3 minutes. Remove from the heat and let the sauce stand for 5 minutes. Whisk in the butter, 1 tablespoon at a time, and season the sauce with salt and pepper. 5. Using a gentle sawing motion, carve the beef tenderloins into ½ inch-thick slices and serve, assing the remaining sauce at the table.